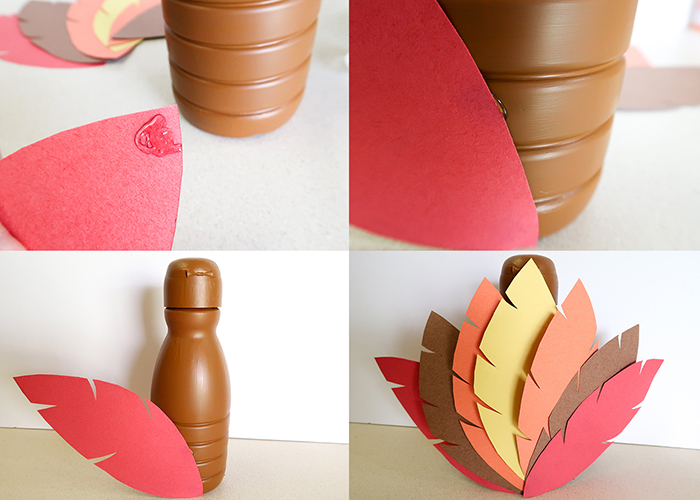 Today I’m showing you how to make this cute little Recycled Plastic Bottle Turkey Craft! 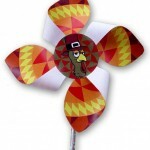 Can you believe this turkey used to be a coffee creamer bottle? 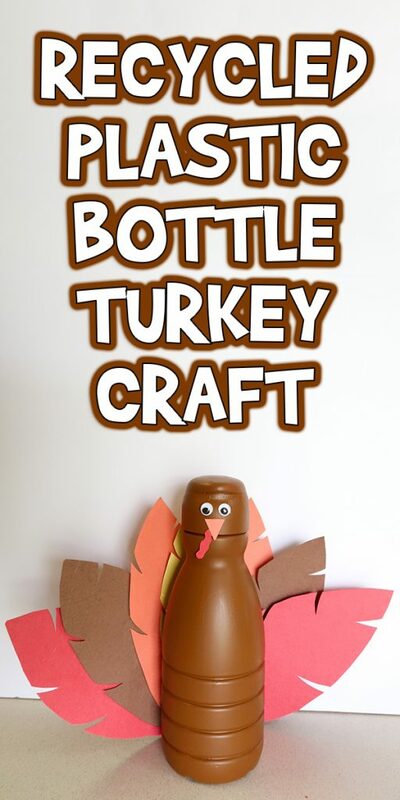 You can use almost any shape of plastic bottle to create a turkey, but I love the rounded head this turkey has. 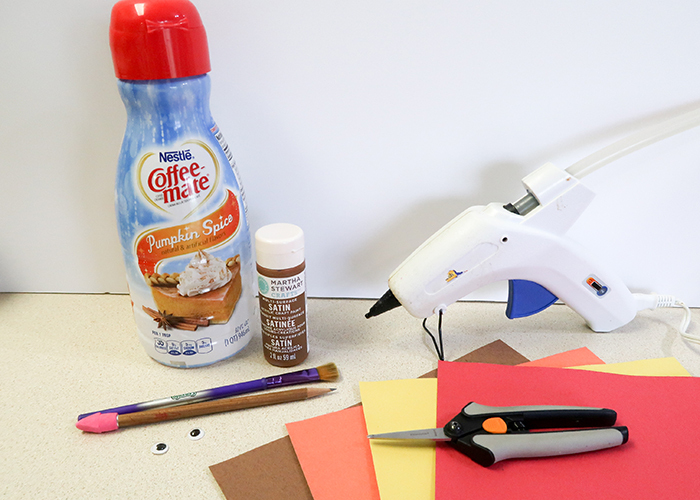 Here’s what you’ll need to make this project! 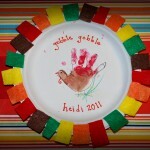 Brown, orange, red, and yellow construction paper. Start by taking any labels off your bottle. Then wash and dry the inside and outside very well. Next, we’re going to paint it with your brown paint. It takes 2-3 thin layers to cover completely, and make sure to let it dry all the way in between layers. 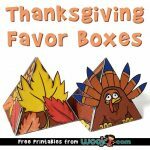 To make the turkey feathers, stack your sheets of construction paper on top of each other. Then draw two elongated football shapes on the top sheet. Cut them all out. 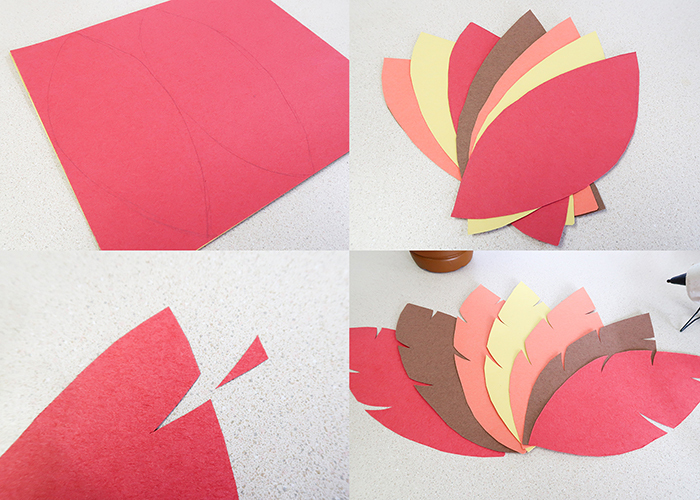 Use your scissors to cut little curved triangles into the shapes, all pointing down, to create feathers! 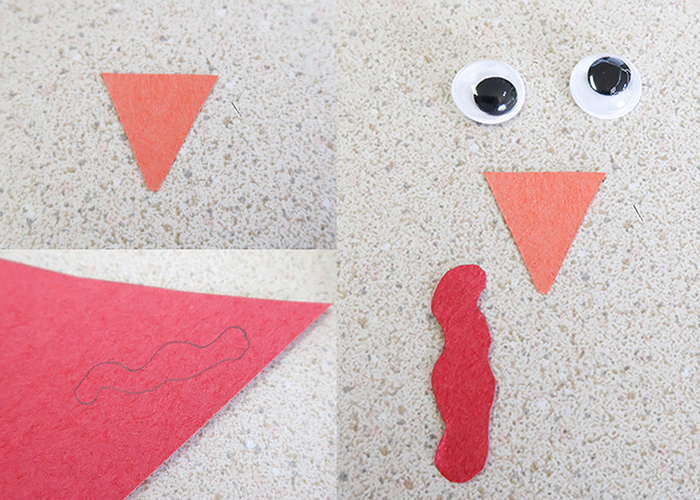 Now cut out a small orange triangle for a beak. 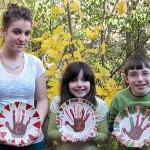 Then draw a long squiggly shape for the turkey’s wattle, and cut that out. 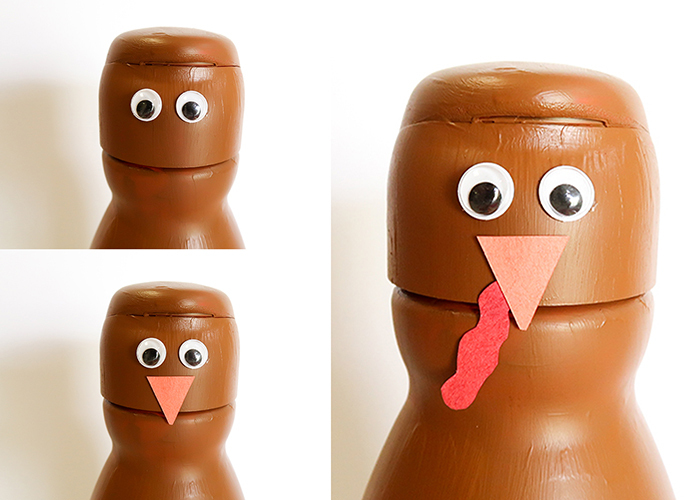 Glue the eyes, beak, and wattle on your turkey’s head, and make sure to tuck the red wattle under the beak. 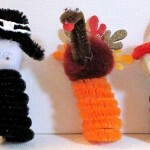 To attach the feathers, add some glue to the base of the feather and attach it to the bottom back center of the turkey. 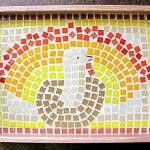 Layer the feathers on one by one, adding dots of glue where necessary to keep the feathers up against the turkey’s back. And you’re done! 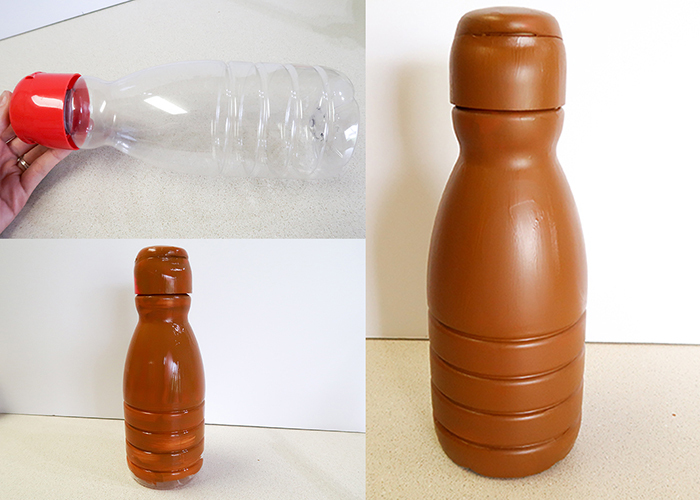 You can also add rice or beans to the inside of the bottle to keep the turkey from tipping over if it’s bumped. 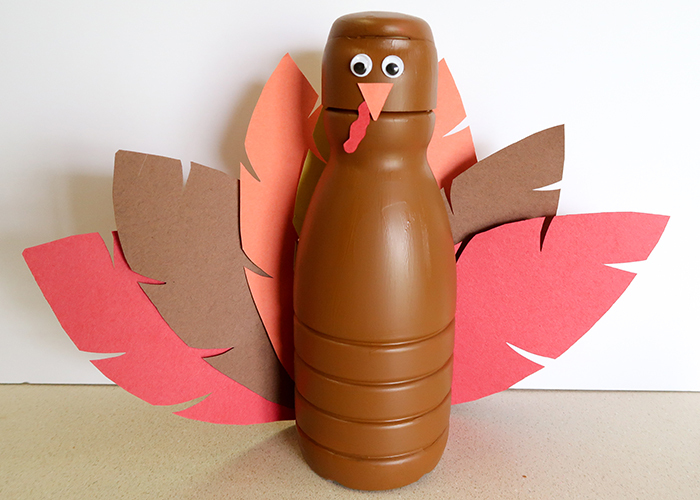 I hope you enjoyed making this Recycled Plastic Bottle Turkey Craft with me!